Having worked with Killer Mike, No I.D., Elijah Blake, Tamar Braxton, CyHi The Prynce, Nelly and Attitude among many others, TecBeatz is an LA-based producer very much on the ascent. Originally from Atlanta, Tec calls the signature style he first developed there "digital mayhem", but the moniker is somewhat misleading. 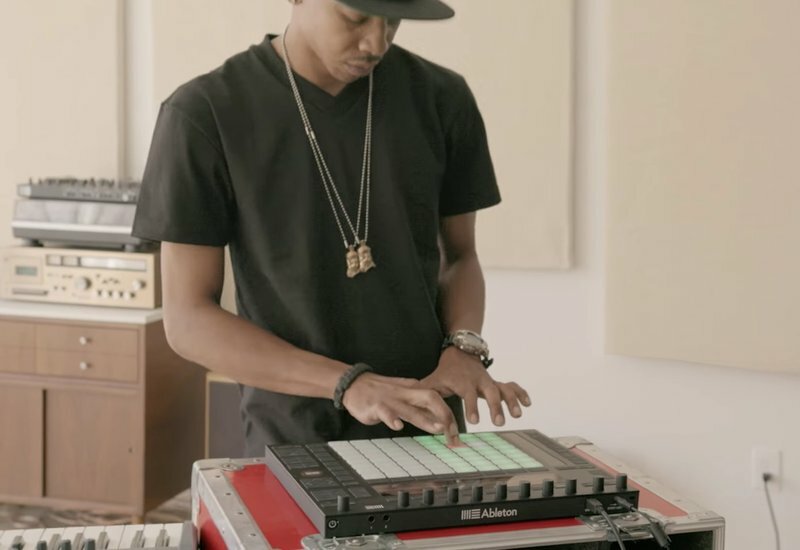 As Tec breaks it down in the video below, the way he layers unusual samples with synth bass and distinctly ATL-flavored beats is anything but chaotic. There are a lot of useful tips here, but one technique Tec employs is particularly useful, and not just for beatmakers: combining two or more audio clips and resampling them internally – as Tec does with the vocal samples in the video above – is a great way of generating original material to chop and sequence further. The track arrangement, as well as all of the samples, sounds and sequences used by Tec in the video are available as a free download for you to explore. Two frequently asked questions about this video are: How can I position drum pads in the upper right hand corner on Push? What is that backpack Tec is wearing? Find the answers here and here. Keep up with TecBeatz on Twitter and Facebook.